Clearly, Erin Molan loves a challenge. She's one of a relatively niche group of female sports reporters and holds her own on Nine News, The NRL Footy Show and The Sunday Footy Show, but now Erin has arguably stepped up for an even bigger challenge – raising awareness of bowel cancer. 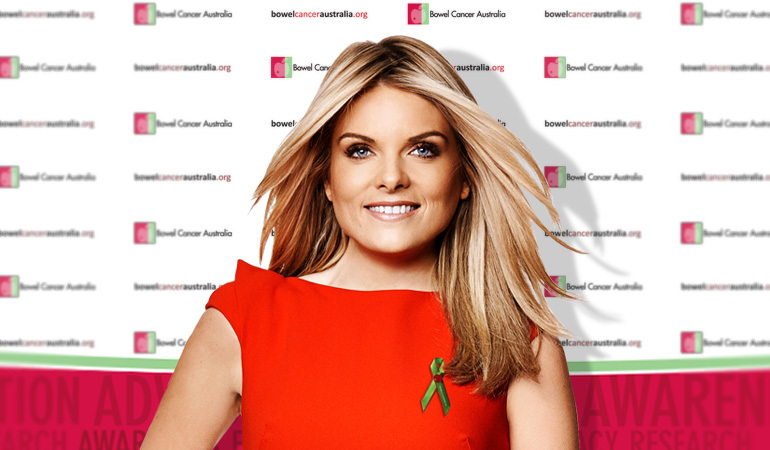 The Channel 9 sports reporter has joined the Bowel Cancer Australia team as an Ambassador after a family member was diagnosed with disease. While a cancer diagnosis sends most people reeling, for Erin, the news that her sister was battling a disease more common in older people made it even more of a shock. "I had no idea that bowel cancer could affect young women like Sarah. She was 29 years old and enjoying life with her husband and two little children when she was diagnosed. That was two years ago and it continues to have a huge impact on our family," said Erin.  "Unfortunately, most people don't know enough about bowel cancer although it is the second biggest cancer killer of Australians men and women. It claims more lives than breast or prostate cancer," she added. Erin's sister is currently well but her experience with bowel cancer has implications for the whole family. Erin, her parents and siblings will all be signing up for early and regular checks due to the increased risk in family members. Sarah's illness also motivated Erin to learn more about bowel cancer herself and encourage others to do the same. "This is the added bonus of working in the media. I can use my public profile to spread important messages about bowel cancer so other people might not have to go through what our family has." "Everyone should know the possible signs of bowel cancer so they see their doctor early. It may be far more common in the over 50s but being young does not make you immune to this cancer. It's also really important that people aged 50 years and over understand that simple bowel cancer screening tests can save their lives." Bowel Cancer Australia's chief executive, Julien Wiggins said he was delighted to have another Ambassador on his team to raise much needed awareness of the disease. "While Aussies love talking sport, they're far less keen to talk bowel cancer," said Mr Wiggins. "Having Erin on board talking about what people can do to reduce their risk of bowel cancer means we're giving more Aussies a sporting chance against this preventable disease," he added. Erin shares a similar story to other Bowel Cancer Australia Ambassadors, Lara Bingle and George Calombaris. All three come from close families who have felt the impact of bowel cancer. All three are committed to increasing awareness of bowel cancer in the community.